Coronary angioplasty also called PCI or PTCA – is a non invasive procedure that helps treat coronary heart disease [ blocked coronary arteries ] by improving the blood supply to the heart muscle, through widening and opening of the narrowed coronary arteries .It is used to stop heart attacks in progress, treat chest pain (angina), and restore blood flow through the coronary arteries.The procedure is performed in the cardiac catheterization laboratory (or cath lab) by a specialized Interventional cardiologist . A thin, flexible tube called a catheter is inserted into an artery and fed to the site of a blockage within the blood vessel. The interventional cardiologist opens a tiny balloon at the end of the catheter to push aside the blockage, improving blood flow through the artery. What is a catheter used for in Angioplasty ? A catheter is used to deliver the stent into the narrowed coronary artery. Once in place, the balloon tip is inflated and the stent expands to the size of the artery and holds it open. Innovations in catheters have been ranging from the original balloon catheter to more flexible and soft ones. A stent is a small tube that acts as a scaffold to provide support inside the coronary artery. Starting from stainless steel stents , they have evolved now into thinner cobalt chromium or platinum chromium stents . There are also drug eluting stents that release clot busting medication , as well as completely biodegradable polymer stents . Several dedicated stents are now available for use in bifurcation lesions such as Nilepax, Tryton etc . Special Mguard stents are used for acute heart attacks . Bifurcation lesion means there is a blockage in a site where the blood vessel divides into two and is more challenging to treat. Two branches of the blood vessel have narrowing. If a balloon angioplasty is performed in one, there are chances of the other branch closing. Conventionally one or two stents are placed and there are chances of recurrence in the side branch. “In such a case if a balloon angioplasty is performed in one, there are chances of the other branch closing, which would lead to further complications. 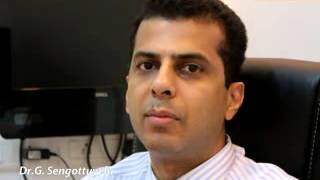 Hence we used the advanced Nile Pax Stent (dedicated bifurcation stent) which is shaped in such a way to remove narrowing from both the branches and has to be inserted through two wires to place it simultaneously in both branches”. 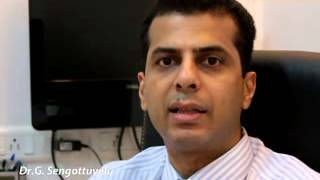 Dr. Sengottuvelu also adds, “This particular stent has several advantages. Stent covers both branches and is drug coated, helps in accessing both branches of the artery for future treatment if requited. Also the quantity of dye used and the duration of the procedure is much less. other than the primary angioplasty is use of specific intravenous medications called “thrombolytic agents”. These agents are thrombus (clot) busting medications, and when administered in patients, dissolve the clot in 60-65% of cases. The remaining 35-40% of cases either die due to failed thrombolysis (failure of drug to lyse the clot), or even if they survive the attack, go home with a very weak heart due to a large portion of the heart muscle being permanently damaged. On the other hand, success rate of primary angioplasty is more than 95% when performed in experienced hands. Conventionally angioplasty is done with a small balloon at the end of the tube is inflated, then it is deflated and removed. The pressure from the inflated balloon presses the plaque against the wall of the artery, creating more room for blood to flow. Primary angioplasty nowadays is being done more without balloon dilatation because of the possibility of blood clot migrating down the same blood vessel distally during inflation of the balloon. Radial primary angioplasty has some important advantages. over femoral primary angioplasty. One relates to the complication of bleeding at the site of access. In primary angioplasty, the routine use of high doses of antiplatelets, including glycoprotein IIb-IIIa inhibitors, and anticoagulants increases the risk of complications related to local bleeding. It also permits early ambulation and discharge of the patient, apart from being more comfortable for the patient. Bivalirudin has now proved itself in acute-MI patients undergoing primary angioplasty, results from the This state of the art procedure is done in a fast manner thereby minimising damge to heart musle and improving survival. BYPASS surgery or stent ? There is a scientific score called the Syntax score that takes these factors into account and determines the suitability of the patient for angioplasty .